To us the ideal holiday is filled with delicious food, relaxing with family and friends, plenty of rest and the sound of children playing and laughing in shade. And that's generally how the Christmas school holidays go for most families… for the first day. As soon as the sun comes up on the second day, it's as though everything changes. Your usually beautifully natured children have awoken with an expression that would scare a grizzly bear, it's hot and humid, and they're booooored. While you want to keep them entertained, every option you come up with involves eating, sleeping, long relaxing lunches with friends, and children playing happily in the backyard (which clearly doesn't sit well with your kids). Don't worry! We've come up with a list of the best trampoline based activities to keep your kids occupied for the next six or so weeks. This is the first post in our series, so stay tuned for more great activities and ideas in the coming weeks. Hours pass like seconds when you're having a great time on your own backyard trampoline. The weightlessness of each bounce allows you to soar above the ground without a care in the world, and your kids will be entertained for as long as their legs hold out. 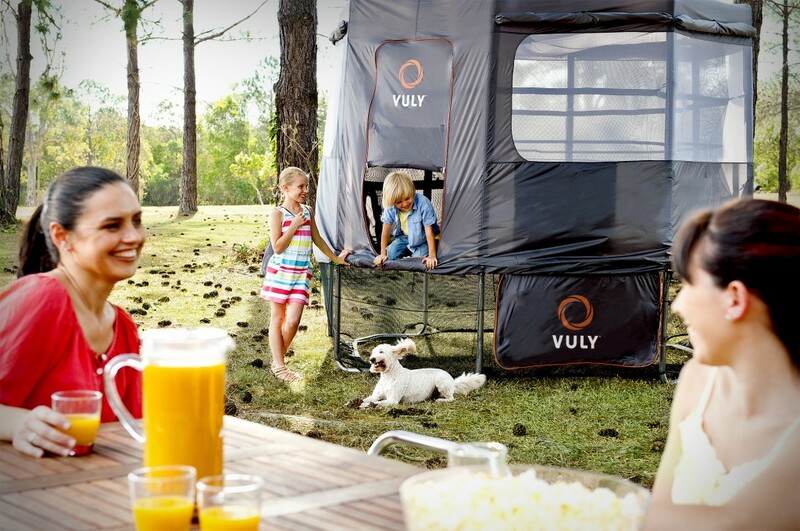 A Trampoline Tent allows for continuous jumping in the shade all day, and you can keep a watchful eye on them through the panoramic windows. Plain old jumping never has to get tiresome with our unique HexVex™ Game Mat, which is printed on each trampoline. Visit our website for detailed instructions for a variety of fun trampoline games, and spend time making up your own games for hours of entertainment. Next week we'll show you how to create trampoline challenges and your own backyard obstacle course!